A good dungeon forces explorers to interact with its terrain features. Dungeons with nothing but smooth floors, featureless walls and plain ceilings realise only a fraction of their potential. 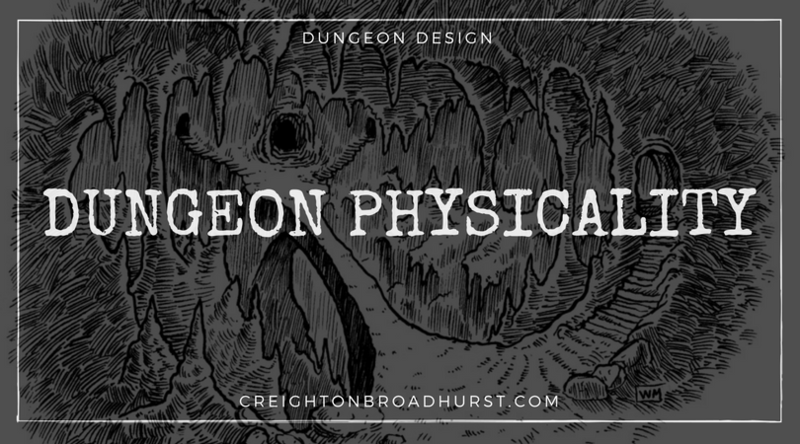 A superior dungeon gives the PCs a chance to interact with its physicality. During a delve, combat should not be the only physical challenge explorers face. No matter the game system you use for dungeon delving, it likely features rules for dealing with physical challenges such as climbing, swimming and jumping. Use them. Problem Solving: A deep chasm presents a challenge wholly different to a tricky fight and forces explorers to problem solve if they want to overcome the challenge. Such challenges promote team work, lateral thinking and clever play. Change of Pace: Dungeons featuring nothing but battles can get boring quickly. Dungeons with significant physical challenges not only promote a change of pace, but also enable the PCs to use other, non-combat related skills and powers. Interesting Fights: Battles fought upon a slippery stair or on the brink of a pit are inherently more exciting than those fought in a normal, featureless corridor and provide combatants with different tactical options. Similarly, smaller features such as statues, rubble and so on shape the battlefield and provide smaller game-related benefits for clever combatants. Segment the Dungeon: Large terrain features – lakes, chasms, raging rivers and so on – can segment the dungeon and provide an excellent reason for areas of different flavour. They can act as barriers to exploration or obvious “signposts” the PCs are entering a different level, sub-level or area. Flavour & Verisimilitude: To a reasonable degree, flavour and verisimilitude are good things. They make the dungeon more believable and real. Providing this backdrop differentiates the dungeon from other similar complexes and makes it more memorable for the players. Rare indeed us the blog poster who prompts my commentary, let alone praise. Sir, in the last three days I’ve read four of your posts which have all proven positively inspirational. As a veteran DM who is in the nascent stages of planning my next mega-campaign, I praise your posts as a springboard that launched my design to the next level. Thanks so much for those kind words, Jeffrey! It’s jolly decent of you. Here, here! I couldn’t agree more on all points. Excellent tips! Adding physical features can really bring the experience alive. Also, when I DM, I keep a note on the side of my DM screen that lists the following: sights, smells, sounds, temperature, surfaces, light, humidity, critters. This has helped me immensely over the years to train myself to go beyond describing “what do we see?” and is especially helpful when needing to describe an area “on the fly” (unplanned for). Great tip, geekdom! Thank you! I’ll be sure to work this into my next session. This illustration is wonderfully evocative of beloved, old-school D&D art. 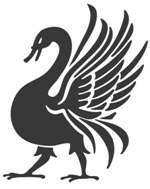 More from William McAusland please!